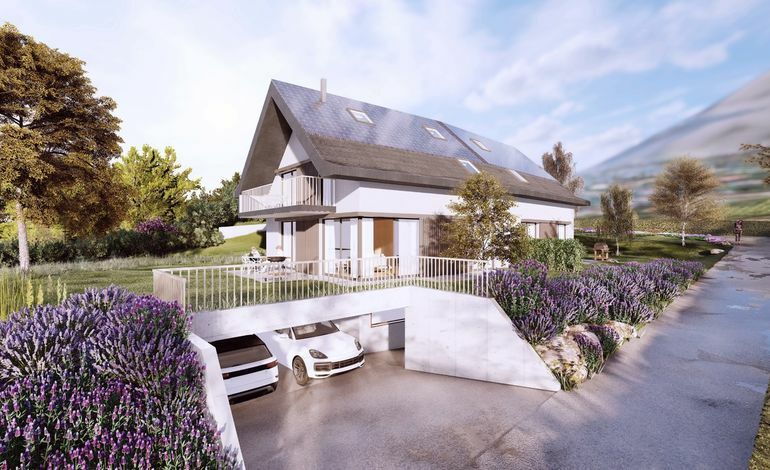 This off-plan, semi-detached villa is being constructed in a historic, protected neighbourhood in Saint-Légier and enjoys a prime location in a rural, peaceful area. 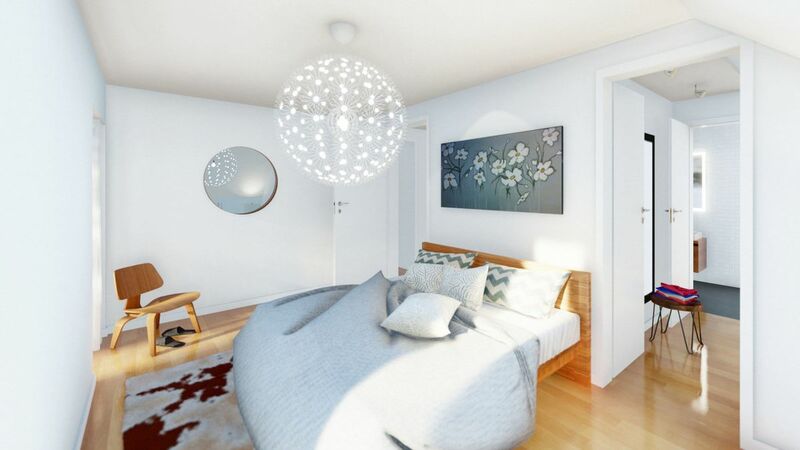 In a quiet, residential environment, it is close to shops and public transport. Located on the slopes of the Pléiades in the district of Riviera-Pays-d’Enhaut, just 15 minutes from Montreux and less than 10 minutes from Vevey, Saint-Légier-La Chiésaz is a family-friendly municipality of about 5,000 inhabitants. The village is home to many public and private schools. 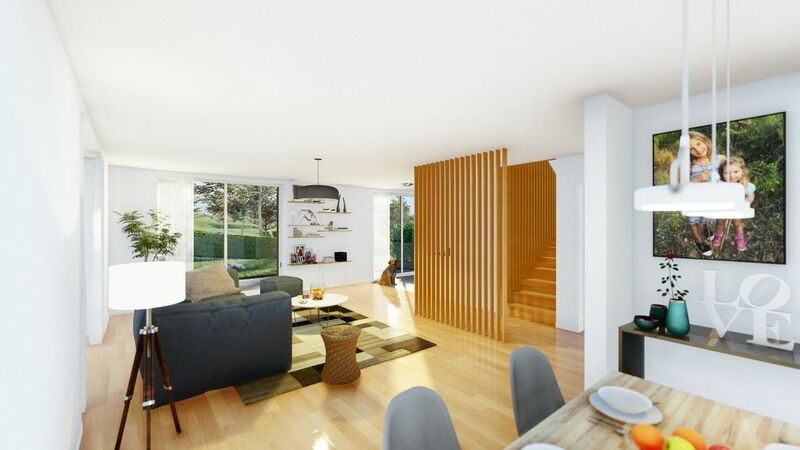 Split over three floors and a basement, this 5.5 room house will feature 130 m² of living area and 210 m² of floor area. The grounds with expansive garden and charming terraces will also enhance its appeal. South-facing with numerous large windows, the property will enjoy plenty of light throughout the day. 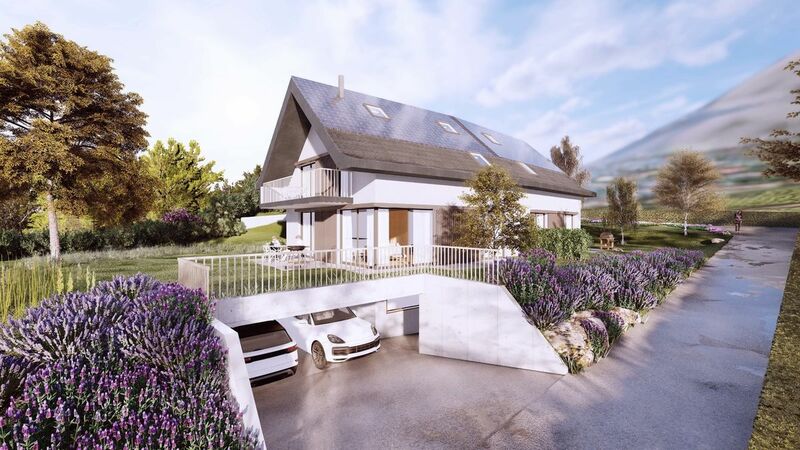 Built on a plot of 581 m², this property will tick all the boxes of a modern, quality building. It will feature high quality materials and premium finishes that are at the buyer’s discretion. A full building description is available on request. According to the building permit, construction is expected to be complete by spring 2020. Finally, this property will include a two-car carport and an outdoor parking space. 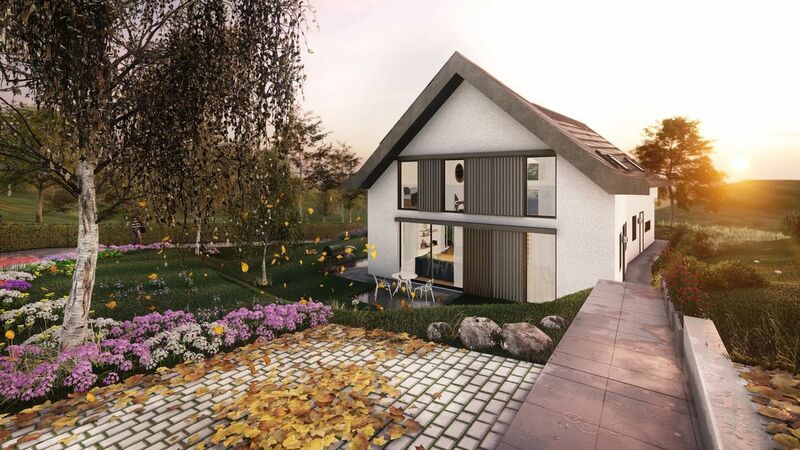 This terraced villa will feature modern fittings and premium finishes. 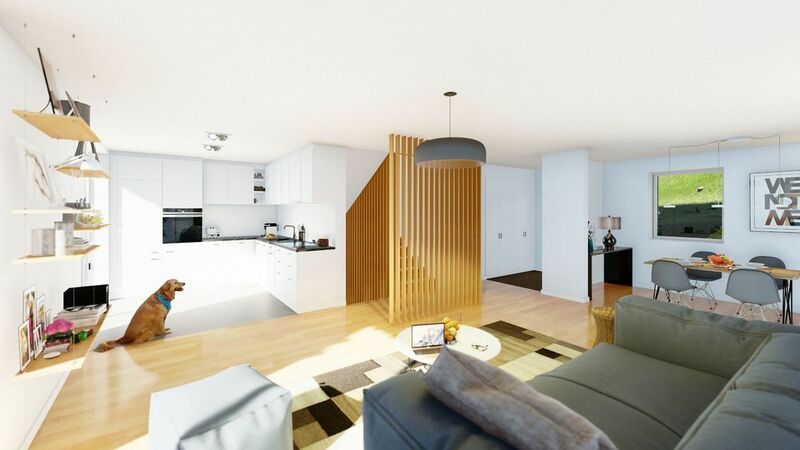 It has been designed to offer residents a spacious interior with large rooms. 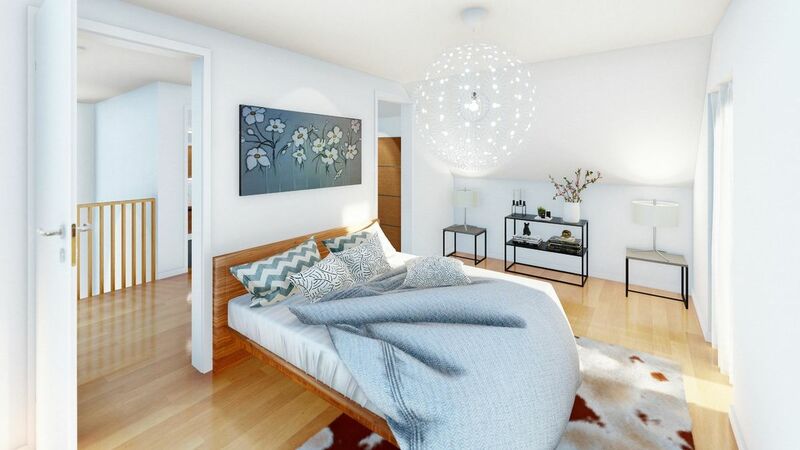 The basement floor area of 80 m² will comprise two heated and insulated rooms. The triple-glazed windows will provide outstanding noise insulation. The heating will be supplied by a heat pump and distributed via an underfloor system. In addition, the installation of photovoltaic panels on the roof of the building, combined with the heat pump, will save costs. Minergie-certified, this property is sure to offer you exceptional comfort. This villa will also feature a dual-flow ventilation system to guarantee optimal durability and quality. In other words, this project combines technology, design, aesthetics and respect for the natural setting. It should be noted that this sale includes a share of land with a general contractor’s agreement.